Discussion in 'Lets Talk about gambling and more...' started by Marina, Jul 16, 2014. Roulette is one of the most popular gambling games in the gambling scene, right up there with poker, craps, and blackjack. It is a betting game (obviously) involving a ball and revolving wheel. The revolving wheel is the roulette, in case you were wondering. The roulette has different sections that are numbered off. A ball is dropped into the wheel as it spins, and players begin betting on where the ball will stop. If it lands in your crib, you could win a great deal of money. Alright, so you already know the basics about Roulette. You’ve been around the gambling forum for a while, and you are familiar with the game rules and the gameplay. However, there are a few tips and tricks that may help you sharpen up your game (and maybe even get that win you have been waiting for so long). Always take a look at your table before you join the gameplay. Concentration is key when it comes to this game; if you zone out you may miss your opportunity to make the bet that will win you the green. In order to keep pulling in large winnings in the game of Roulette, you need to remain consistent and remember that your goal is to earn profits, not beat other players or pull a fast one on the casino. Don’t let yourself daydream while the wheel is turning and don’t have too much to drink. If you stay alert, you’ll increase your chances of success. You always have to be careful when choosing an online gambling forum, but it is especially important to be smart when choosing an online setting for playing Roulette. Do your research and triple-check to make sure that the online casino you are participating in is a reputable one that will not take your money unfairly. Most trustworthy establishments will be happy to answer any questions you have and even show you payout statistics and percentages. An online roulette wheel should be just as random as a real-life one; make sure that your online gambling area uses a random number generator instead of using a sketchy and unfair method of collecting data. 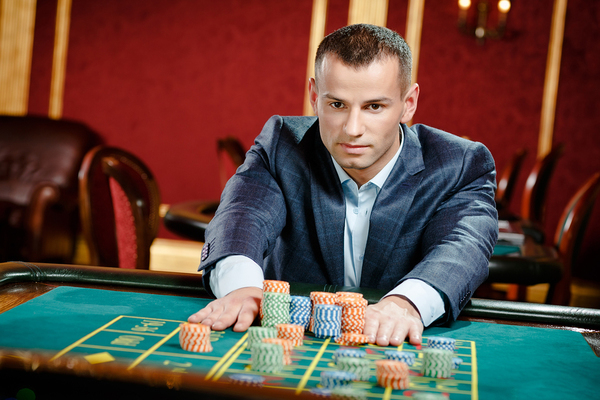 Before you go to the Roulette table (or before you go to the casino or gambling forum in general), make a habit of deciding how much you are willing to lay on the table and how far you are willing to go. By making a resolution with yourself before going, you decrease the chance that you’ll unwisely use your money on the table. It may be helpful for you to write down how much money you plan to spend in advance and keep that slip of paper with you throughout your gambling adventures. This way, you’ll have evidence of your predetermined decision even in the heat of the moment, thus preventing emotion from overcoming your logic. It may also benefit you to write down some tips and tricks on the back of this piece of paper so that as you play you remember how to have “good form” during the game. People use this over-quoted phrase so often because it rings true. If you practice, you’ll begin to pick up the little things that you need to know in order to become a successful roulette player. If you are very new to roulette, we suggest that you play a free round or watch a group of people play before you begin wagering your own money. It can be dangerous and foolish to throw your money out there when you don’t have any idea what you are doing. We can’t emphasize how important this is: practice, practice, practice! We promise that your hard work will be worth it in the long run, and you’ll agree when you make your first profit at the Roulette table. There are a few different kinds of tables when it comes to playing Roulette. There is the American roulette table, and there is the European roulette table. Some people believe that the American roulette table decreases your winnings and increases a casino’s earnings due to the double zero present on the American version of the roulette wheel. Know which wheel you are using and why so that you don’t get caught off guard by the differences in wheels. If you are interested in obtaining a “level up” in the gambling world, try taking a few of these tips and tricks to heart the next time you begin a game of roulette. You may be surprised at what a little predetermined wisdom can do for your “luck”. We hope you enjoy these tidbits and use them successfully the next time you gather for a fun game of roulette. Mike, Kotsy and Ellis like this. I've always wondered if Roulette was just a chance game. Is it luck or some other strategy? Go for red? Go for black? Or do you go for your favorite number or a combination of all? This means you bet on the number 17, the 2 numbers on left and the 2 numbers on right side of 17 on the roulette wheel. So you bet on 2, 6, 17, 25, 34, one chip per number. Why do I like to play 17-2-2? I have been lucky with this system a few times in the landbased casino of my home town and the 17th is my birthday.